If your home is underwater or if you own a home and can no longer afford to keep your mortgage payments current; there are alternatives to bankruptcy or foreclosure proceedings. You may want to consider a short sale. A short sale is when a lender accepts a lower mortgage payoff from a seller because the homeowner owes more on their home than it is currently worth. Short sales are complicated and time-consuming, but due to the amount of homes underwater, they are getting a closer look by lenders. Since you’re not just selling a house, but also negotiating debt, it can take anywhere from 3 to 6 months or more to complete. Also, it is important to keep in mind that not everyone qualifies for a short-sale. The process, for those that do qualify, is improving, however, as banks and Realtors have a lot more experience than they did five years ago. In fact, some lenders are even encouraging homeowners to try a short sale by offering incentives, as in most cases, it is more lucrative for the lender to proceed with a short sale, rather than letting the home go into foreclosure. In order to qualify for a short sale, the homeowner(s) must have some type of hardship that prevents them from continuing to pay their mortgage payments. Think recent job loss, divorce, etc. Just because your home is underwater, doesn’t mean you qualify, although in some cases it does. If you’re considering a short sale, you should contact a Realtor with short sale experience and contacts, and for added peace of mind, a real estate attorney. If you choose to work with us, we utilize our expert short sale negotiators, who have extensive experience negotiating short sales and getting approvals from all major lenders. The services provided are free to our sellers. The seller’s lender must review the short sale package. Similar to a loan application, the seller will have to submit their finances, including the seller’s debts and assets, review their credit score and the contract to purchase the home. Often, documents need to be updated and resubmitted throughout the process. For example, by the time the short sale negotiator reviews the documents, they may request more recent bank statements or financial records. Should you do a short sale on your underwater home? If you are like many homeowners who owe more on their homes than they are worth, and want to sell your home, then a short sale is most likely your best solution. Debt Forgiveness – If you qualify and are approved, you will have the benefit of having your debt forgiven. For example, if your mortgage is $200,000 and you sell the home for $100,000, then the remaining balance of $100,000 will be forgiven by the bank, which includes closing costs, real estate commissions, property taxes, etc . Less Negative Credit Implications - When you decide to short sell your home, you may need to stop making your mortgage payments (if you haven’t already). With that said, if you are behind on payments, the sooner you sell your home, the sooner your credit will improve. If you are current at the beginning of the process, the impact to your credit will be minimal, but removing such a large debt from your credit report can be positive as well. Either way, a short sale is a much better option than a foreclosure. Future Home Purchase - In many cases, you may be able to purchase another home in as little as two years after a short sale, albeit, it can take anywhere from six to ten years after foreclosing on a home. Having an experienced short sale negotiation company involved in the sale of your property greatly decreases the amount of time required to complete the sale. For the short sale seller, the negotiation company assists in encouraging the lender to process the sale quickly enough to keep a foreclosure off their credit. The buyer also benefits from a rapid negotiation and closing process in order to obtain the best price possible for the property. Once you have determined that a short sale is the right step for you and your family, you will next want to consult with an experienced licensed Realtor and insist on having an a short sale negotiation company experienced in the negotiation process with your lender handle the interaction with the bank from the beginning. This can eliminate countless headaches and worry for you and your family. Our staff is fully committed to one goal & helping get your short sale approved. They are not also trying to be real estate brokers or agents, tax professionals or attorneys. Have a Negotiator that actively works on your file, instead of you or your Realtor waiting on hold with the bank, trying to fax documents, fighting through a process that may be unfamiliar to you and wasting your time in the process. Have a third party that has developed relationships with reputable Realtors, lenders and other real estate professionals who actively work with short sales and can market them effectively. List the Short Sale Property - When listing a short sale property it is important to educate the sellers about the short sale process. No one can guarantee what a bank will do in any given situation. Although it may be possible for the seller to walk free and clear from the short sale we cannot guarantee this because not all lenders will react the same. During the short sale process it is important to set realistic expectations. It is often better to over-estimate time frames and deliver early. After the short sale property is listed our office will reach out to the seller and begin the collection of the necessary documentation for the short sale. Market the Short Sale Property - When marketing a short sale property it is important to inform the buyer and buyer's agent that a short sale can be a lengthy process. The fact that you have partnered with an expert short sale negotiation company separates you from agents who negotiate their own short sales, often with little or no success. Seller Accepts an Offer - After a Purchase Agreement is executed by both buyer and seller the short sale process can be initiated with the lender. Our short sale negotiator will not submit an incomplete short sale package to the lender because this may cause unnecessary delays. All paperwork is reviewed for completeness and accuracy before submission to the lender by our short sale negotiator. Submit the Offer - Upon receipt of a complete short sale package our short sale negotiator will submit the completed short sale package to the lender. The confirmation time-frame of receipt can vary from lender to lender. Once receipt is confirmed our negotiators request that an appraisal or BPO (Broker Price Opinion) be completed. It is advised that, the listing agent (Realtor), meet the BPO agent or appraiser at the property to ensure an accurate evaluation. This is important because this evaluation will determine the banks position during negotiation. The bank will assign a negotiator after evaluation of the short sale property is complete. Negotiate the Offer - We know follow up is important to everyone involved. At a minimum our short sale negotiator will contact lenders once every 5 business days. Status Updates via Short Sale Commander - We understand from experience that communication is the key to keeping all parties of a short sale informed and committed. Due to this fact we have invested in Short Sale Commander; a web based short sale negotiation software system. All parties will be provided with password protected access to the secure website. 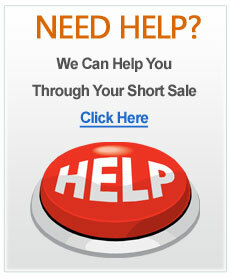 Here all parties can find the most up to date status of short sale files at anytime. Of course should you have any immediate concerns you can easily contact either your agent or assigned short sale representative by phone. Short Sale Approval - Upon lender approval, a written letter is granted containing terms for final closing. In this stage the buyer's lender will order their appraisal, title is ordered, inspections are done, work orders are completed, and buyer's approval is received from their lender. All conditions for closing must be met and cleared by the lender's approval deadline. Final Closing - Florida Short Sale Solutions has a partnership with Everest Title Group LLC who will close all short sale transactions that we negotiate. After a title search is completed Everest will issue a finalized HUD-1 closing statement to both listing and selling agents for review. After review is complete the finalized HUD-1 must be submitted to the lender for final approval at least 48 hours prior to scheduled closing. After signing, lenders review paperwork, funds are released, title is changed to reflect the new owner and the short sale process is complete. Everest will disburse commission checks at closing. This blog post is not, in any way, legal advice. For peace of mind, you may want to contact a real estate attorney. The Orlando Metro Realty team is ready to assist you with all of your short sale needs. Please contact us today to see how we can help.